DIEN BIEN (VNS) — The northern Dien Bien Province yesterday held a memorial service for 41 Vietnamese soldiers who had volunteered and lost their lives in Laos. Their remains were returned to Viet Nam to be buried at the war heroes' cemetery in Thanh Nua, Dien Bien District. 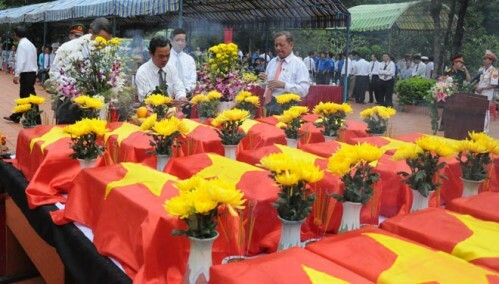 The bodies of the soldiers were found and brought back to their homeland with the help of the local authorities in both Viet Nam and Laos.